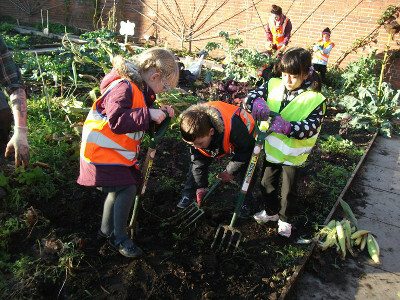 We currently work with four local primary schools, providing each school with their own garden plot and holding gardening groups throughout the year. 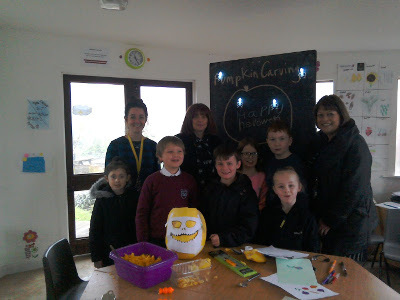 These groups allow local children to learn about food production and get hands-on experience of fruit and vegetable growing. 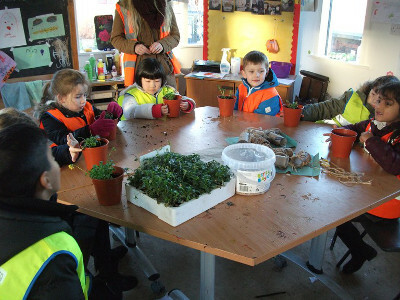 Gardening sessions also teach children about wildlife and biodiversity through creative activities and observation. P4’s from Our Lady’s freshened up their plot sign with some acrylic paints. Our Lady’s put up their bamboo canes to support their newly planted french beans. After working hard on their plot Dens Road enjoyed a delicious healthy picnic with apples, oranges, blueberrys, grapes and carrot sticks – YUM YUM! The children have been painting sun catchers to decorate their school and homes. Our Ladys primary started off some flowers in the poly tunnel today. Winter is a great time to sort through all your seeds. Girls from Dens Road did a great job sorting the gardens numerous seeds. Our Ladys primary had LOTS of fun playing in the frozen garden this afternoon. All of our school have been busy harvesting their plots and preparing for winter. St Peter and Pauls primary has been growing various vegetables in their playground planters. THIS is what they came back to over the Summer Holidays!